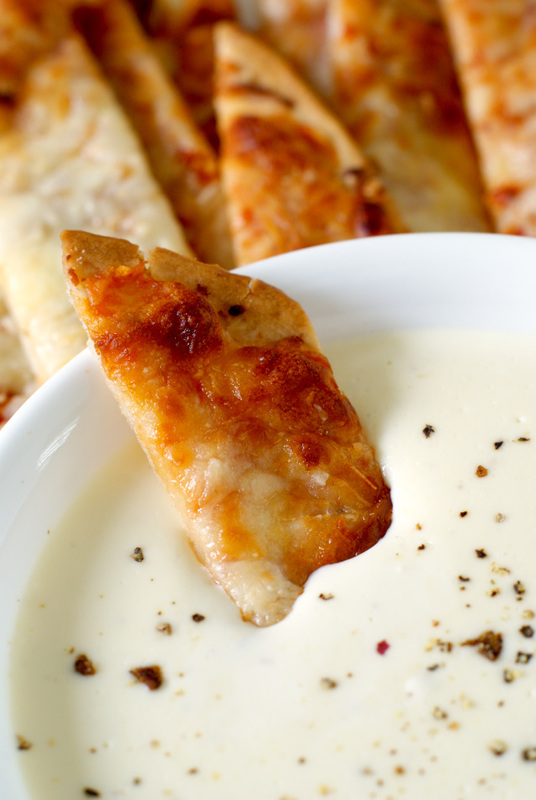 This recipe for Pizza Sticks with Three Cheese Alfredo Dip is part of the Family Pizza Night with Freschetta Gluten Free #GFreePizzaNight shop hosted by the social shopper media company #CollectiveBias - All thoughts and opinions are, as always, my own. Pizza night is a long-standing tradition in our house. I've mentioned that before in past posts, but I'll mention it again because it really is one of my very favorite nights of the week. The kids love it because, well, it's pizza, and because it's the one night of the week when my husband, my kids and I all gather around the coffee table to eat dinner. Pizza night is the only night of the week that we don't sit at the kitchen table, so the kids think it's pretty fun. I kinda like it, too. Reminds me of doing the very same thing when I was little! Don't you just love family traditions? Gah, I do. There's something so magical about reliving memories of past with your littles and then daydreaming about the possibility that they might carry on the same way with their children. But enough of the mushy stuff, back to the pizza! To help keep pizza night fun and fresh, we like to mix things up a bit, rotating between delivery and make-at-home pizza menus. On the nights we make it at home, sometimes we like to get a little creative! We've make this scrumptious Spinach Artichoke Alfredo Pizza and we've also made Homemade Sausage & Mushroom Pizza. Other nights, when we don't have the time to prepare everything completely from scratch, we'll grab a frozen pizza and have fun making it our own! For this recipe, I used a Freschetta Gluten Free Pizza as the star of the show. Did you know that Freschetta makes a gluten-free variety? So great, right? There are around 15 million people in the United States with food allergies. That's a lot of people! So many Americans are sensitive to gluten and one-third of American adults say that they are trying to eliminate it from their diets*. 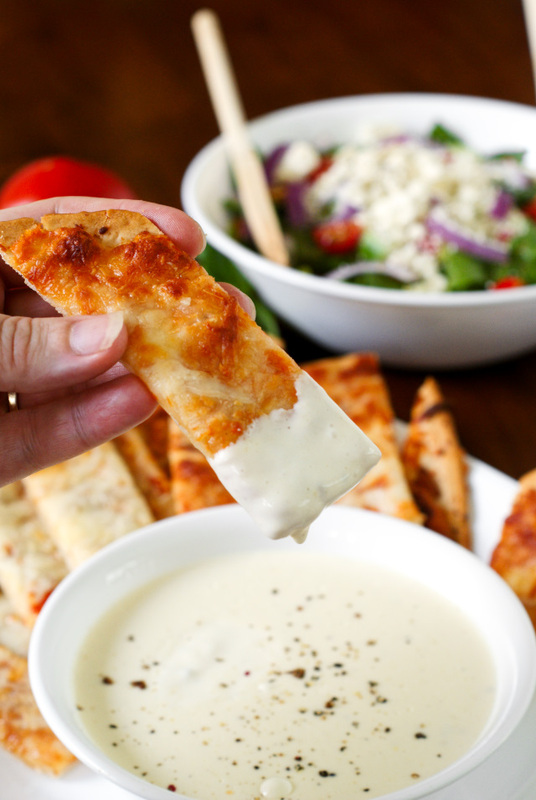 This recipe features Freschetta® Gluten Free 4 Cheese Medley Pizza (made with mozzarella, Asiago, Fontina and Parmesan) that I baked and then sliced into breadstick shape (instead of triangles). Then I made a cheesy alfredo dip to serve alongside them. Now, if that's not a fun addition the pizza night, I don't know what is! You could even whip up a batch of my 15-minute Pizza Sauce for dunking, too. Yum! If you want to try this recipe on your next family pizza night, you can head to Publix to pick up the ingredients. Don't forget to a coupon to save some moolah! Y'all know I love coupons! 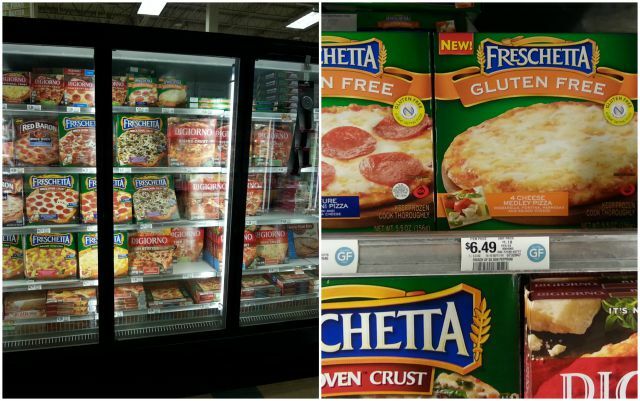 You can also check out more delicious pizza ideas from Freschetta here. I'd love to hear your favorite! 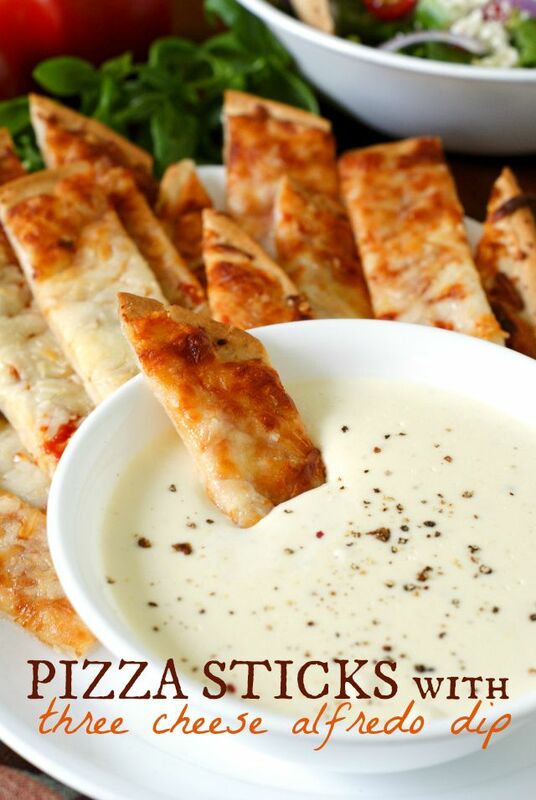 If you've been looking for a way to spice up your pizza night, then you should totally try these tasty pizza sticks with their cheesy garlicky dip! 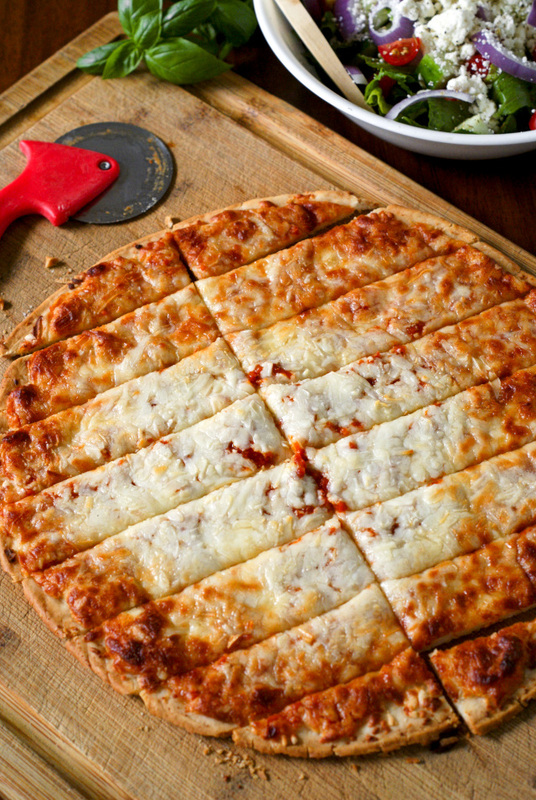 It's a great way to make pizza night fun and delicious, even if you're sensitive to gluten! Prepare the pizza according to the package instructions. Meanwhile, in a medium saucepan over low heat, stir together the cream, butter, and cream cheese until fully melted. Stir in the parmesan cheese, romano cheese, garlic powder, and pepper. Continue to cook and stir for 10 minutes or until the cheese has completely melted. 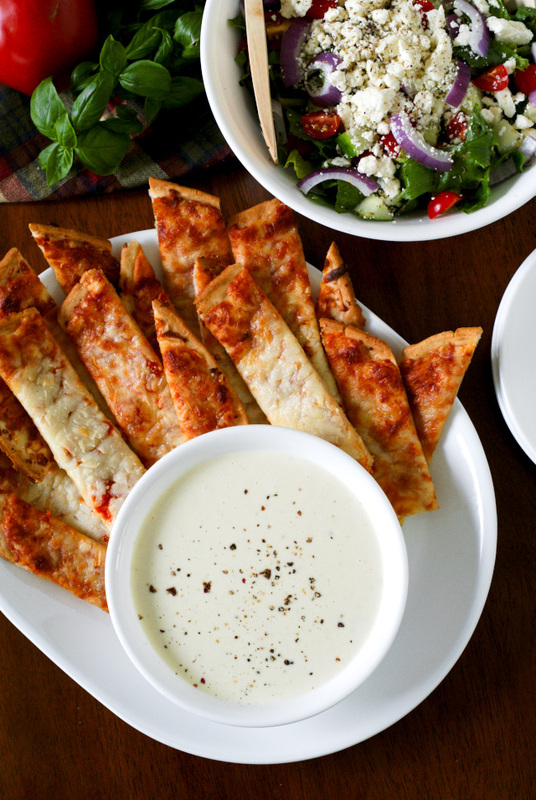 Slice the pizza into breadstick shape and serve with the alfredo sauce for dipping. Got some leftover dip? Try this dip tossed with hot pasta for a quick and easy pasta dish! I am a member of the Collective Bias® Social Fabric® Community. This content has been compensated as part of a social shopper amplification for Collective Bias and its advertiser. Thanks, Kristi! The fam loved it!